First create a parent record for accounts payable. Next you are going to create the primary contact accounts payable. Notice that you have a different primary contact for service location. From within the service location click on [Locations/Contacts] and create an Additional Contact(s). Now whenever your customer calls for service at their service location you will create the opportunity or job from this customer record. 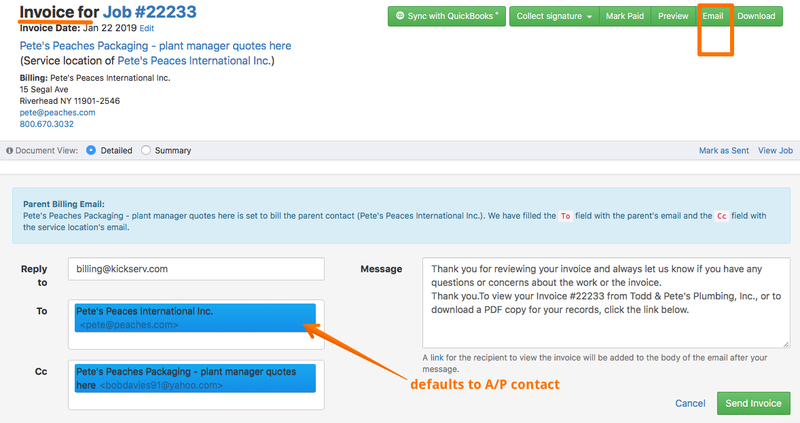 It is set-up now to provide the contact name, phone, and email address of the primary contact at the job site.